Jonathan Harvey’s Beautiful Thing is to be staged in a site-specific dance-theatre retelling as part of the Greenwich and Docklands International Festival. The show will run against the backdrop of the play’s Thamesmead location, and marks the 50th anniversary of the first families taking up residence on the estate. The play was first performed in 1993 and is set on the south east London post-war council estates. An LGBTQ love story, it follows Jamie who is infatuated with his classmate Ste and who has to cope with his single mother. Beautiful Thing will be co-directed by GDIF artistic director Bradley Hemmings and Southpaw Artistic Director Robby Graham – who also worked on the recent Angels in America, that has just transferred to New York. The piece will run as part of the festival from 3 to 7 July. GDIF invites audiences to “Dream a Little Dream” against the backdrop of a changing 21st century urban landscape, as Thamesmead celebrates new a chapter in its history on the 50th anniversary of the first family moving into this utopian riverside community. 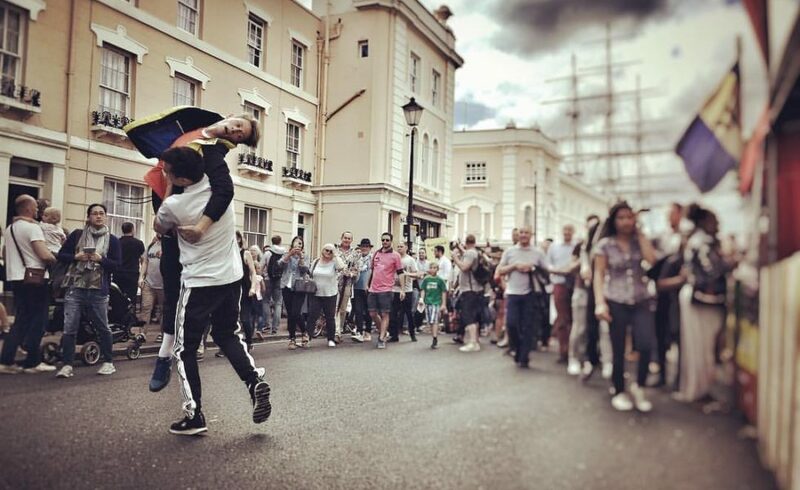 Greenwich and Docklands International Festival runs from 21 June to 7 July in London with over 130 performances performed open air or site-specific and free.